Project immplementation is the final step to turn all ideas and concepts into reality. Therefore, it is necessary to have an effective building plan to complete a construction project with optimal usability, but on the other hand still ensure aesthetic, on budget and on time. After all architectural, structual and interior design steps, LPC is a suitable contractor who has the capacity to effectively implement a construction that investers look for. LPC’s implementating service is being developeed fast by many architects, engineers and workers with years of professional experience in project supervision and management. When deploying a construction, LPC’s staffs always focus on the impacts which can be caused to the natural environment and people around. We has been affirming the service quality on our brand in this field. 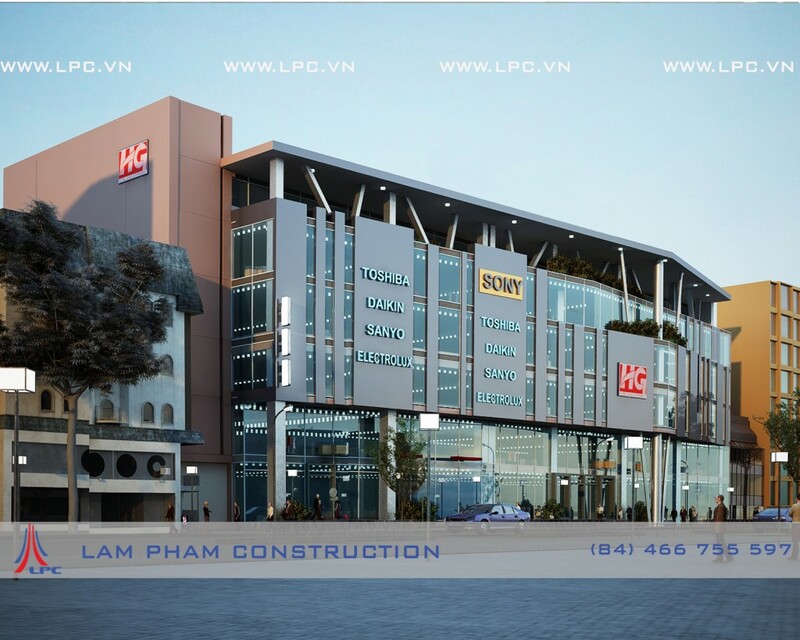 LPC has participated in many construction projects including industrial manufactories, office building, commercial centers and other civil projects such as Mapletree factory (Bac Ninh), Anh Nguyen beach villas (Nha Trang), ect. LPC is oriented to become an EPC contractor for all projects. Not only providing traditional construction solution but LPC also give custoemrs another option – a new generation solution in construction and building. It’s called lightweight flooring solutions U-Bot (Uboot Beton). In Vietnam, LPC excusively provide this lightweight solution, sell Ubot product and also be responsible for implementing guidance and construction supervision along entire process. Click here to see more about U-Bot. Get information projects: Discuss with investors to verify the construction period, material types, conditions of payment and consult the investors some kinds of information related to the project. Give quotation and unify contract: LPC give quotation, contract and contract annex for project to investors to review the terms, conditions and agreements. Sign contract: After reaching general agreements, the two sides sign a construction contract. Implementation: LPC implement the construction following the expected plan and budget. Handover: Complete construction works, terminate the construction contract.